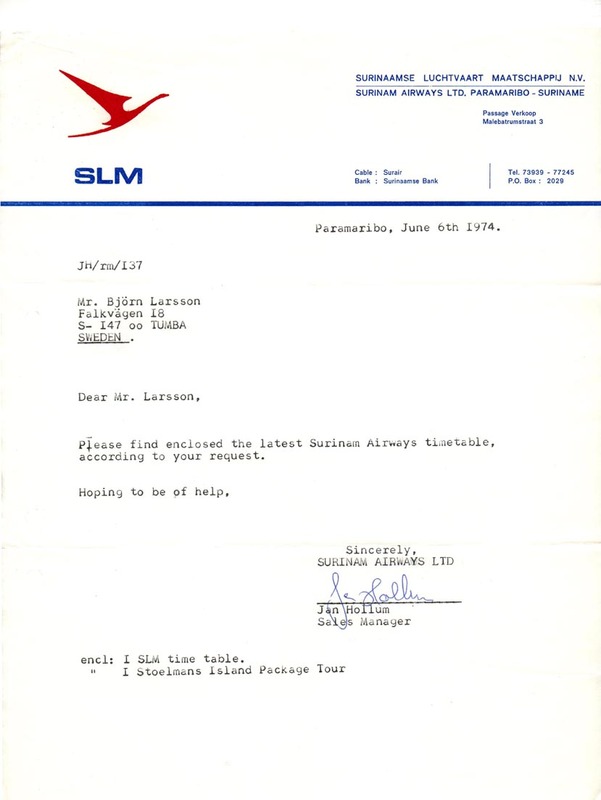 As most other serious collectors I have sent hundreds of letters with timetable requests to airlines all over the world. 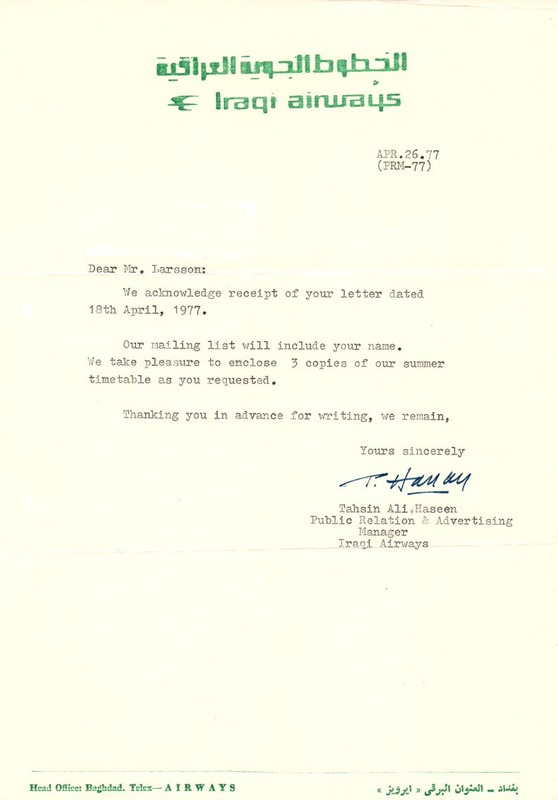 Some sent letters accompanying the timetables (if they at all bothered sending anything) - a selection of those letters are listed below. 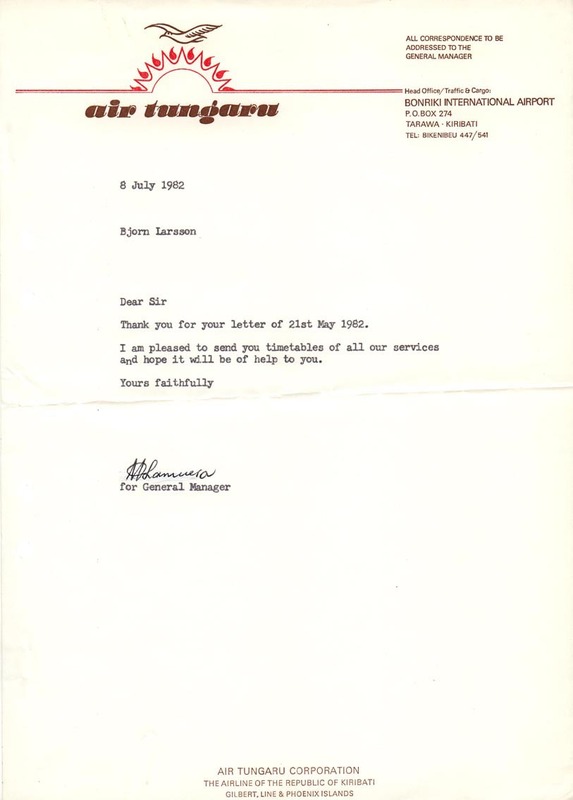 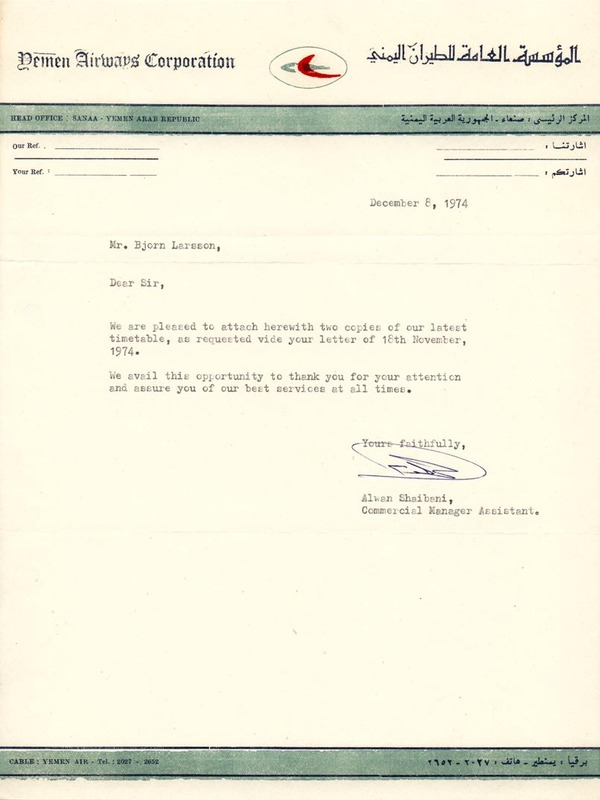 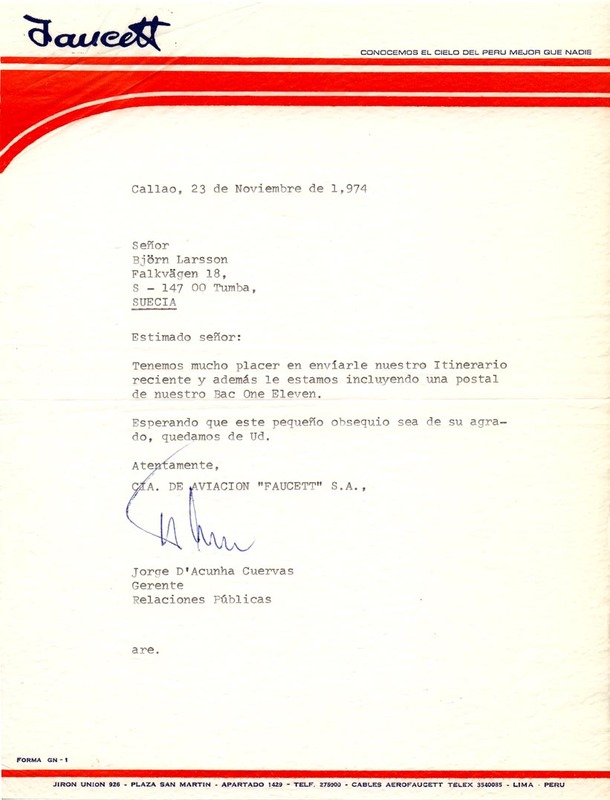 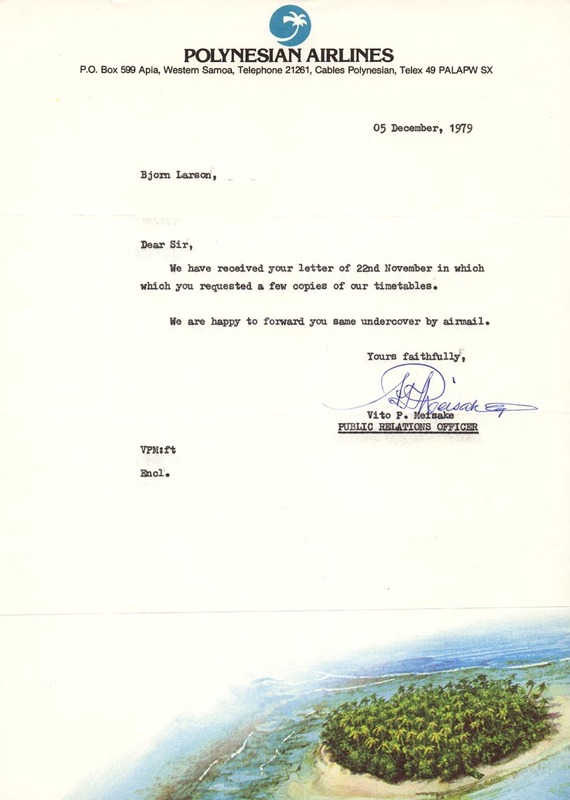 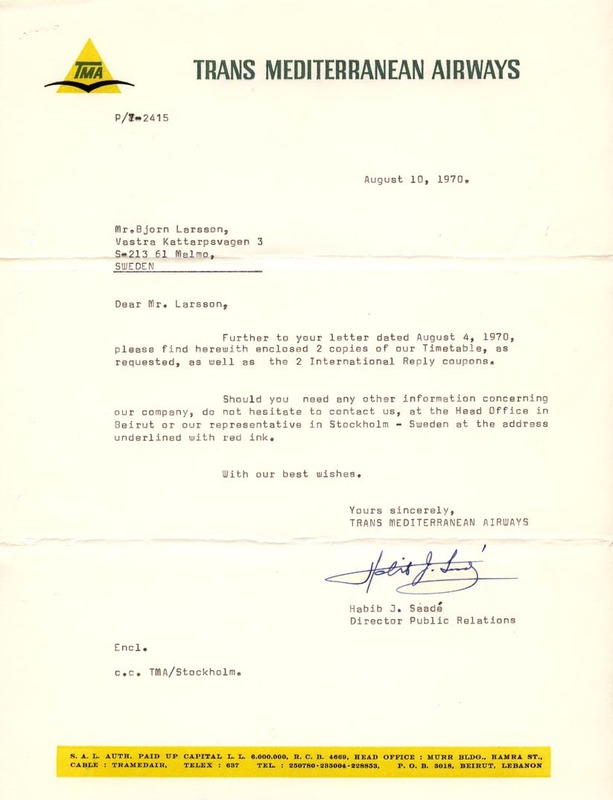 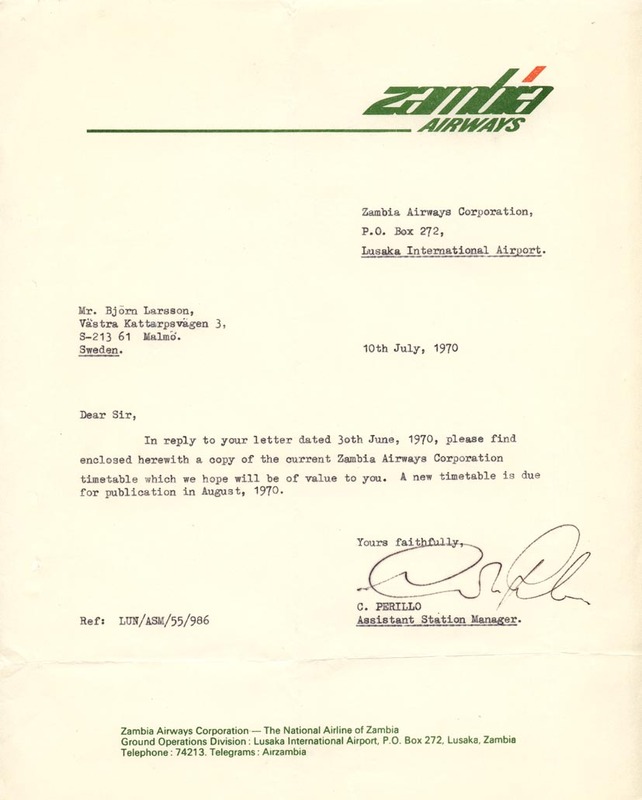 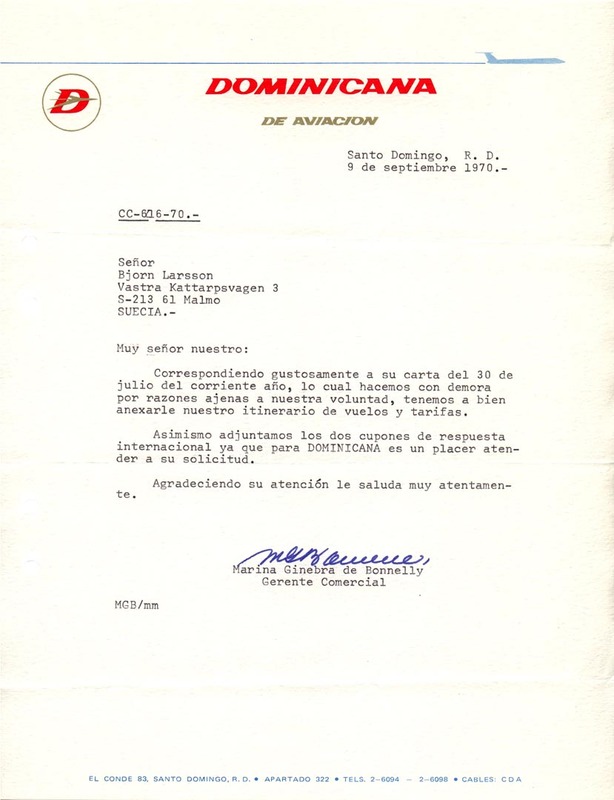 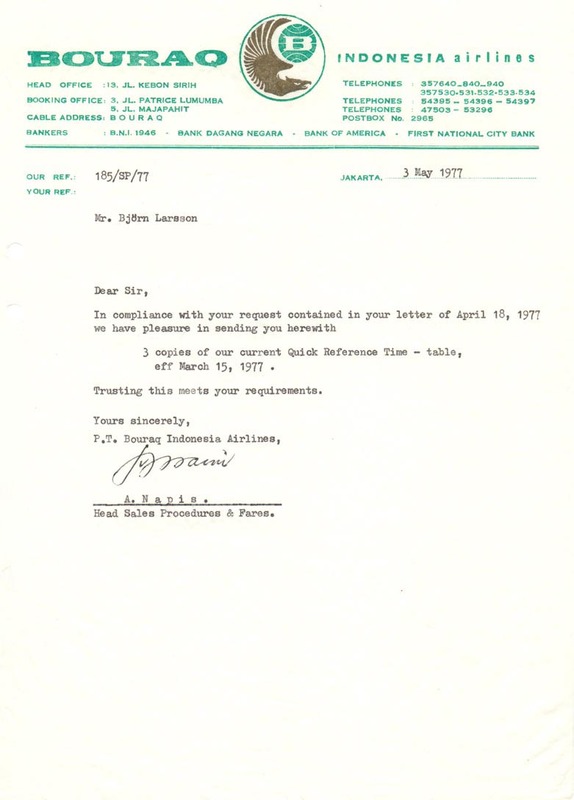 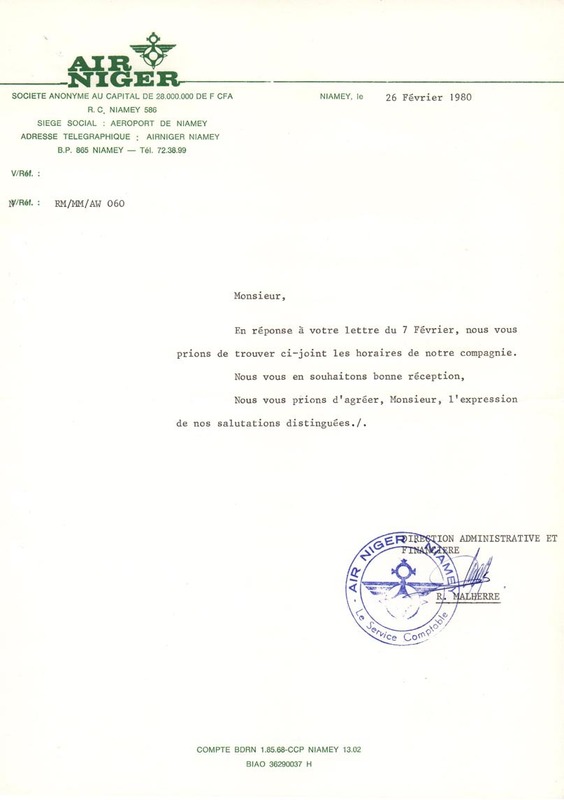 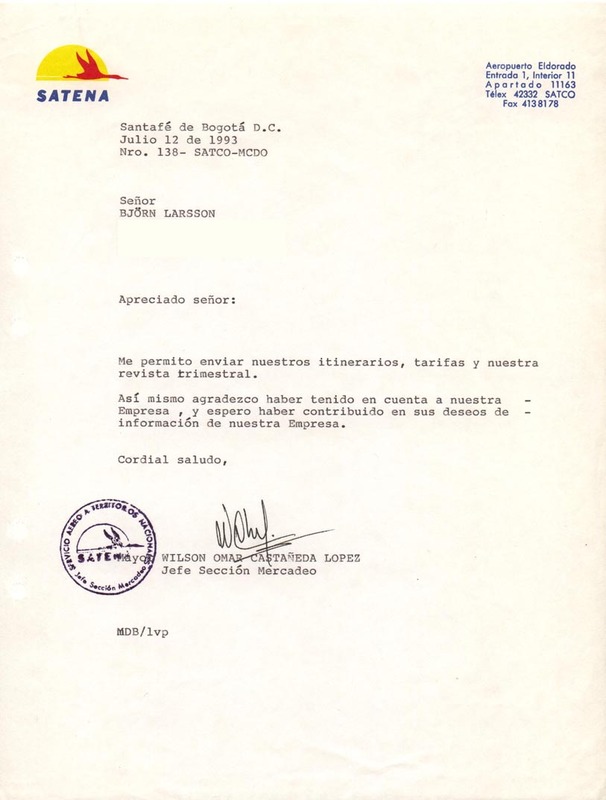 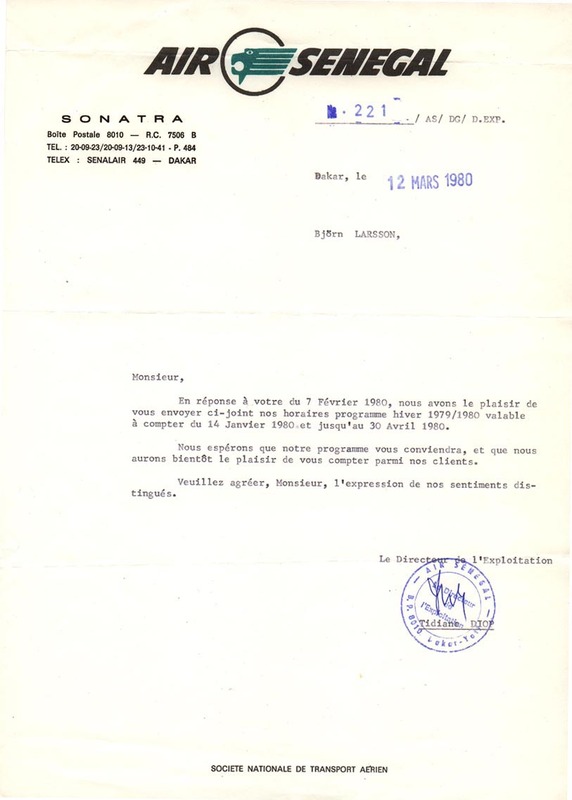 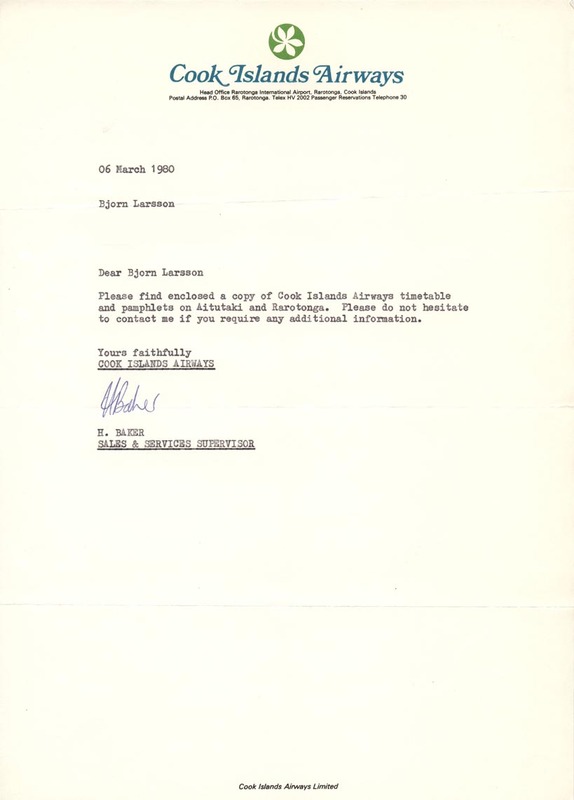 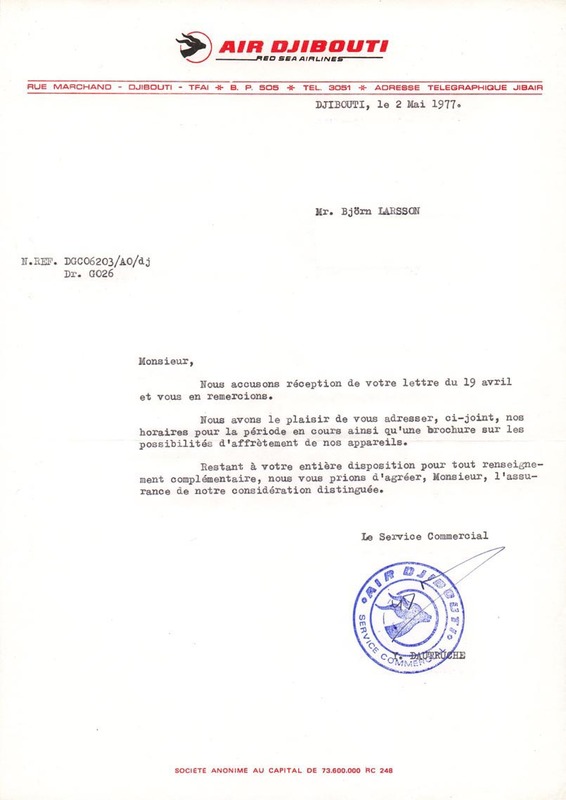 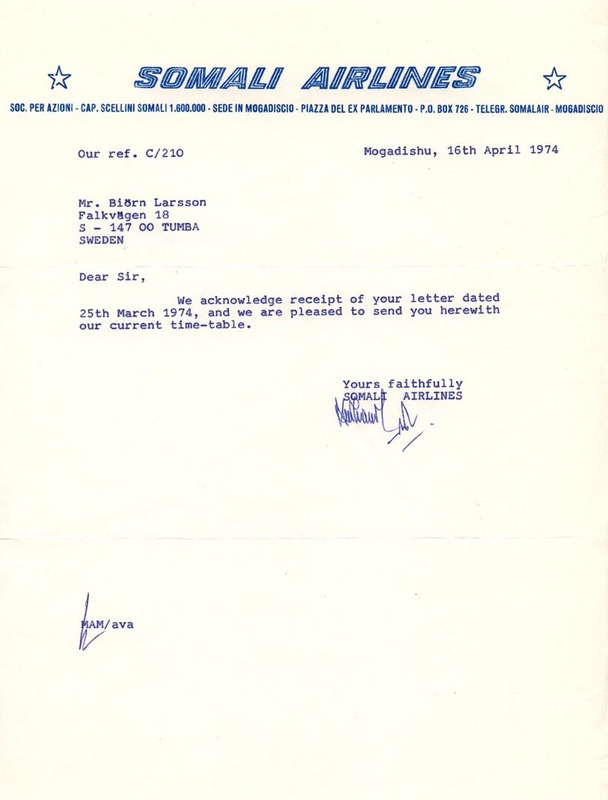 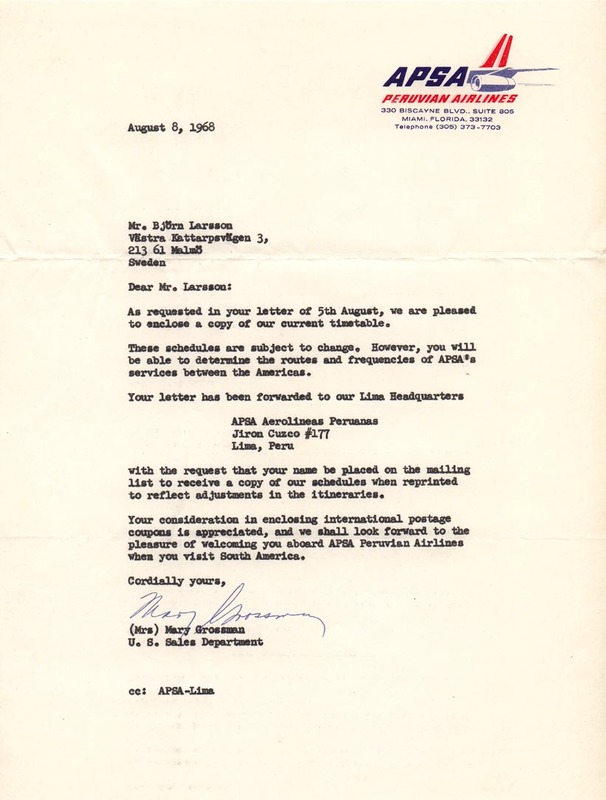 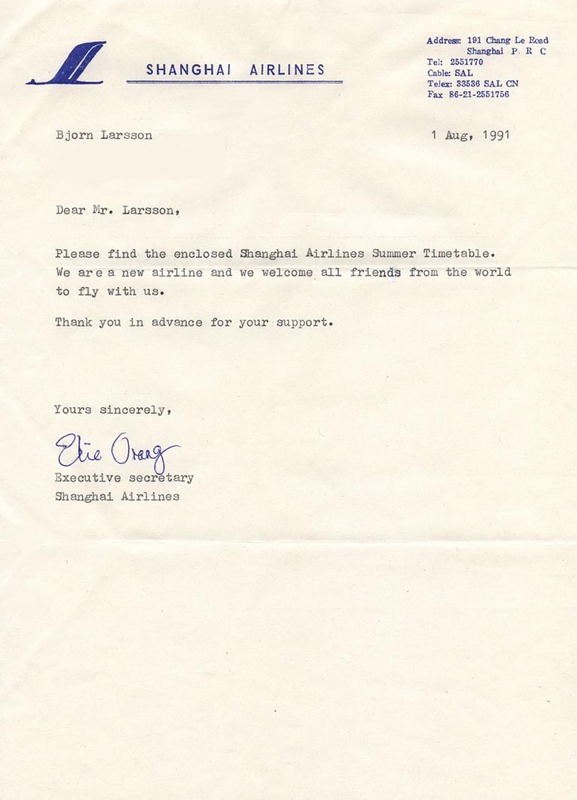 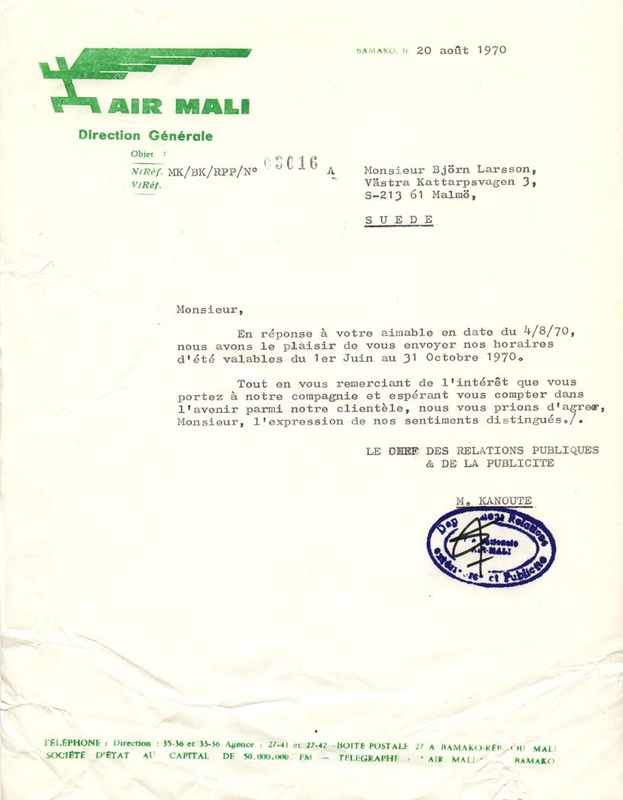 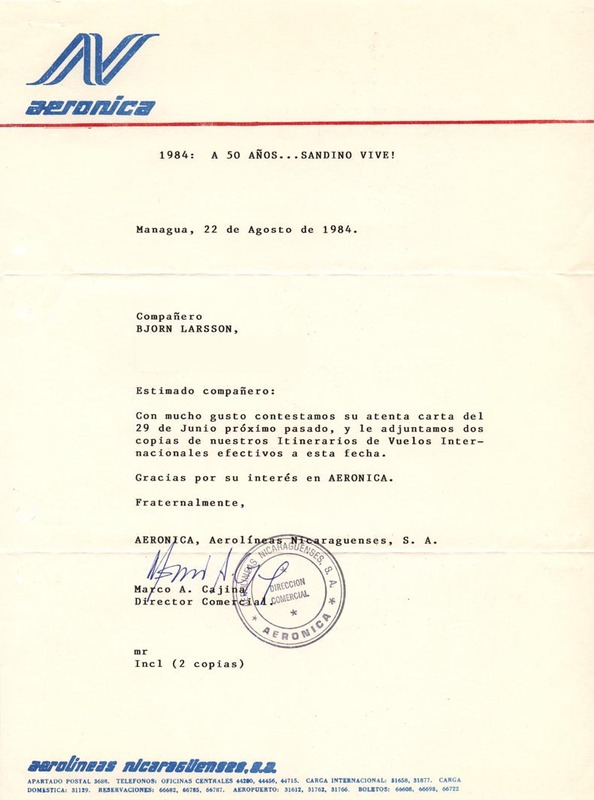 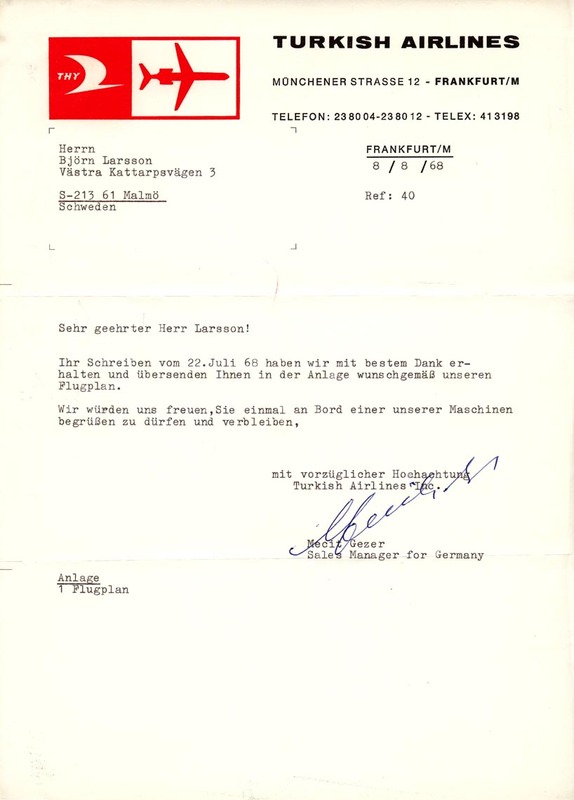 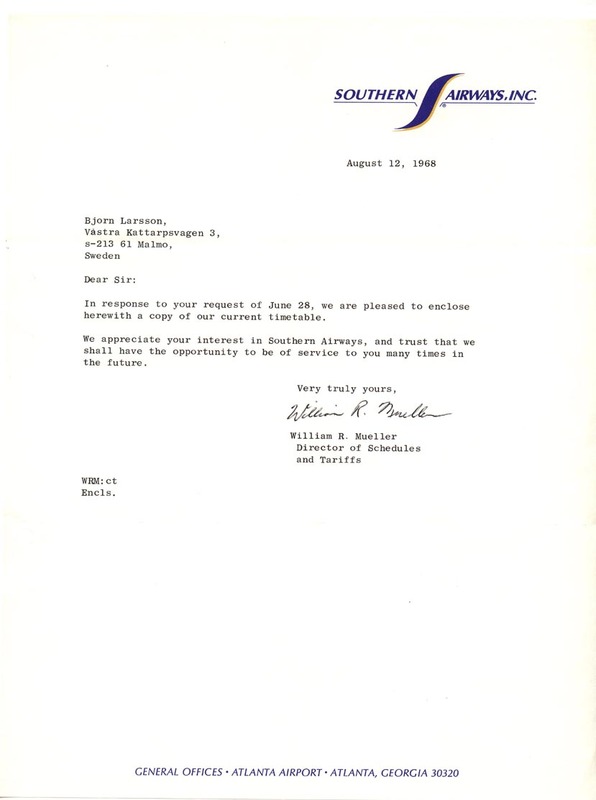 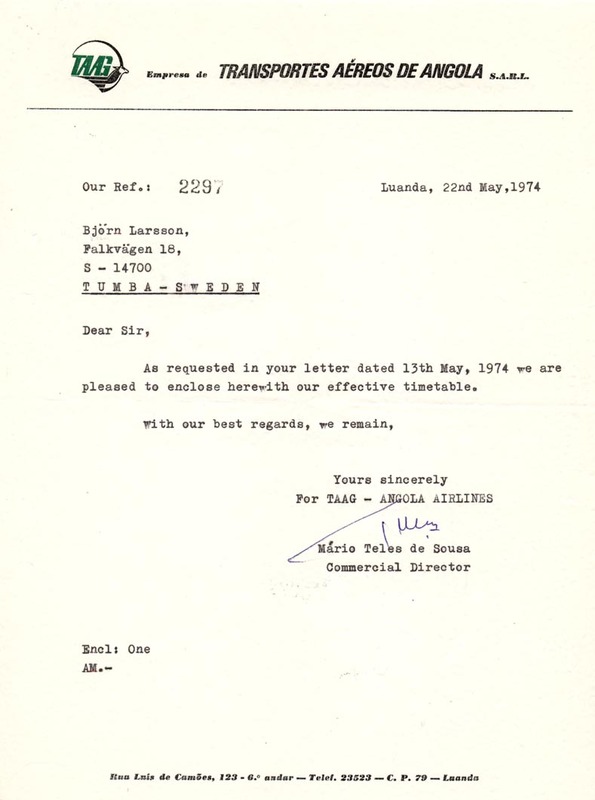 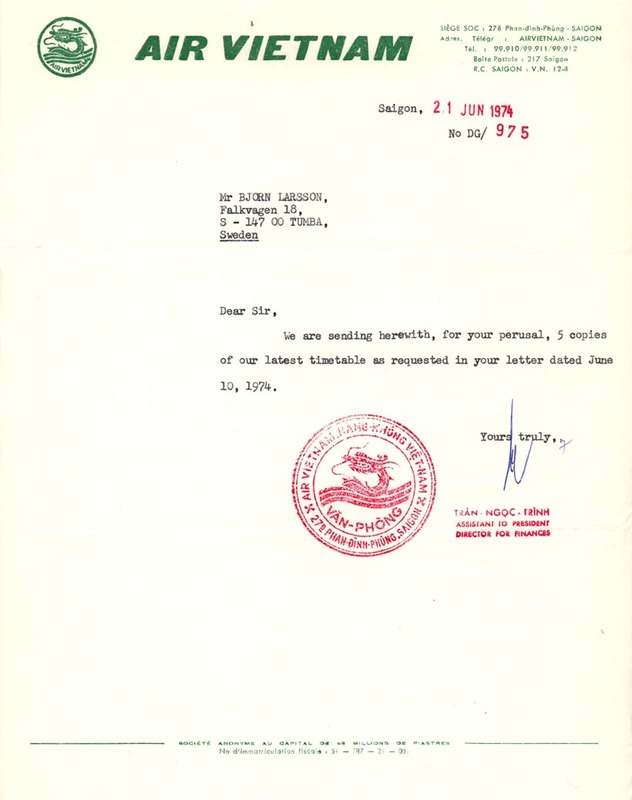 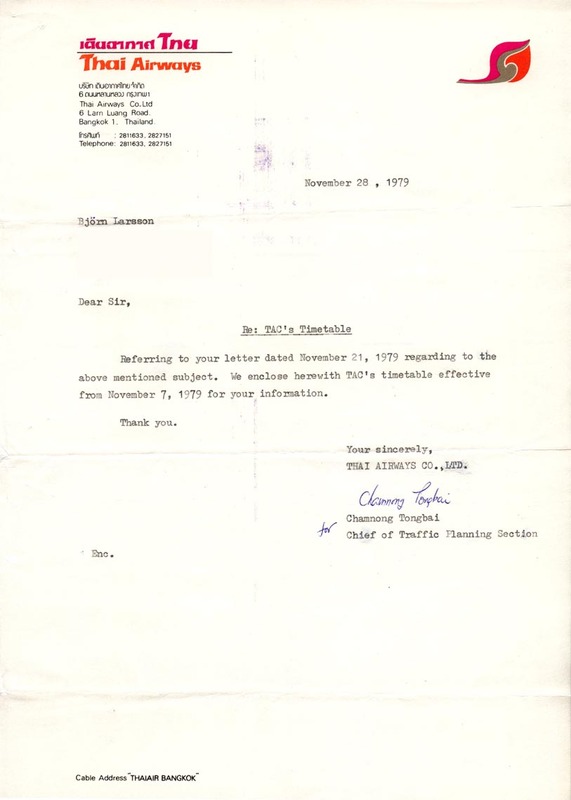 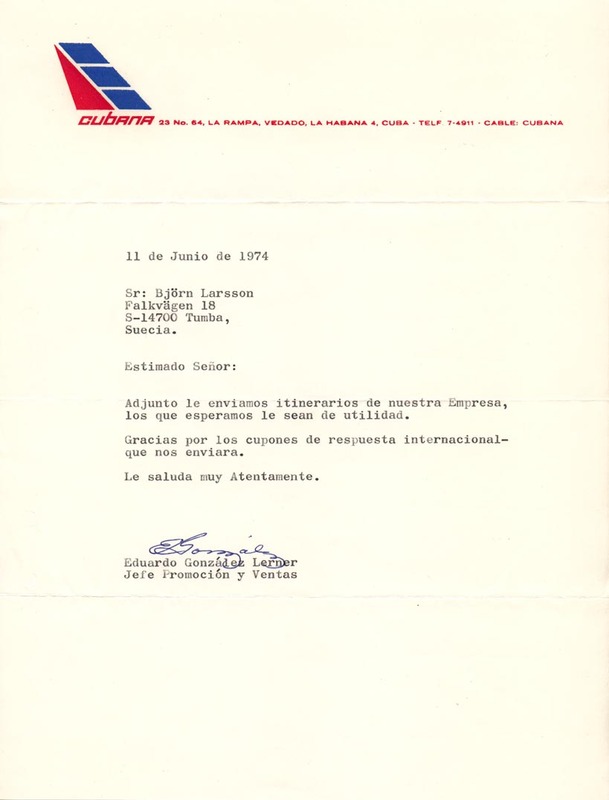 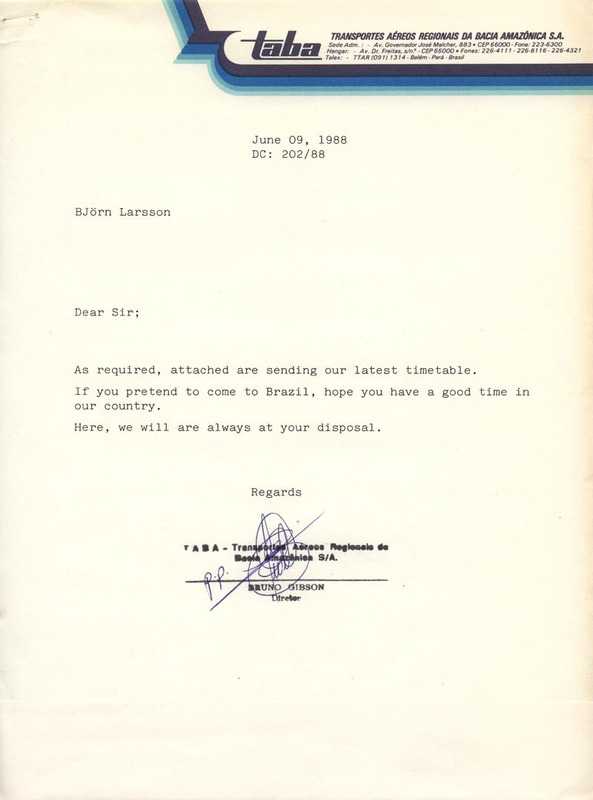 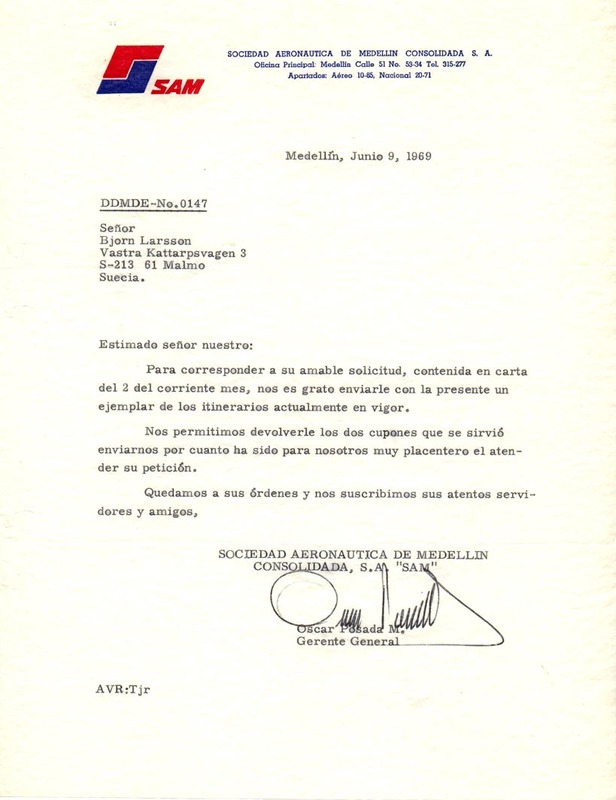 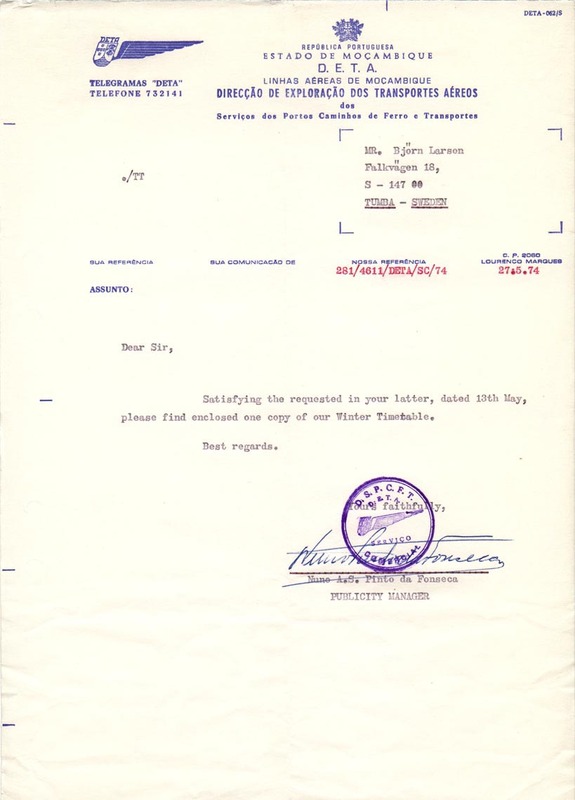 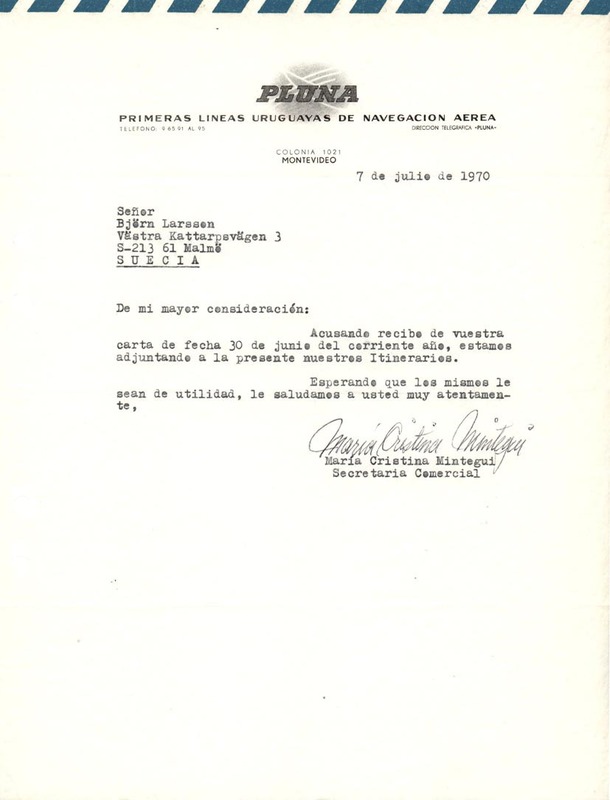 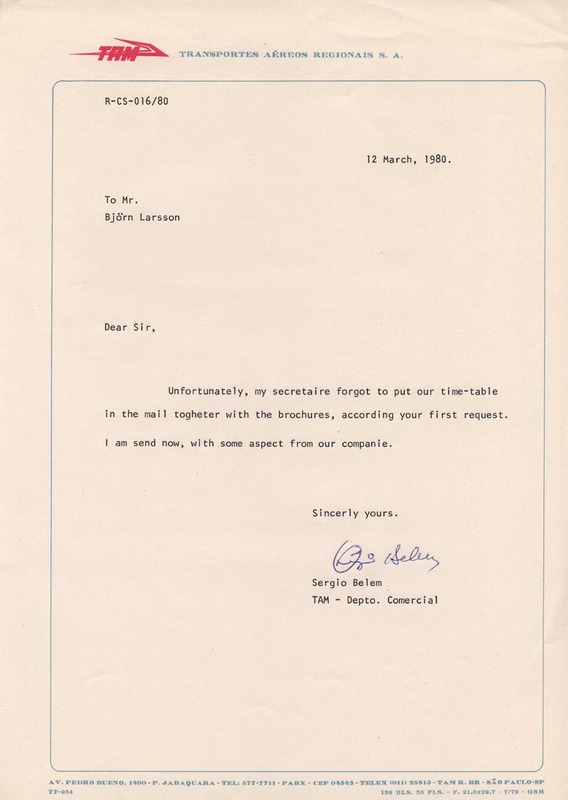 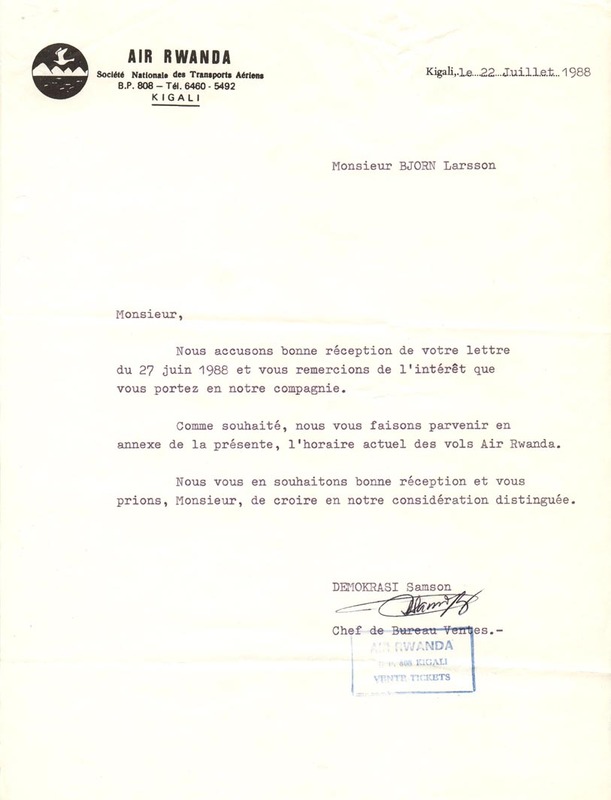 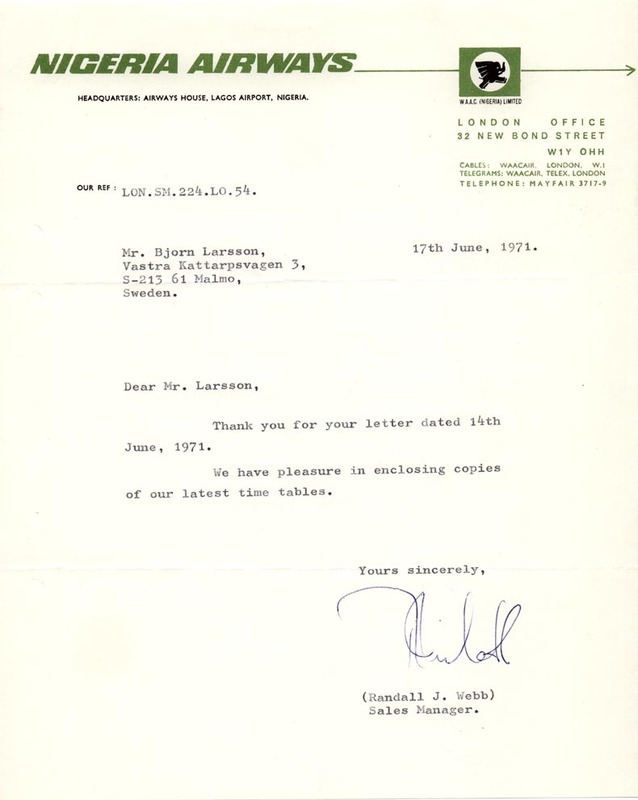 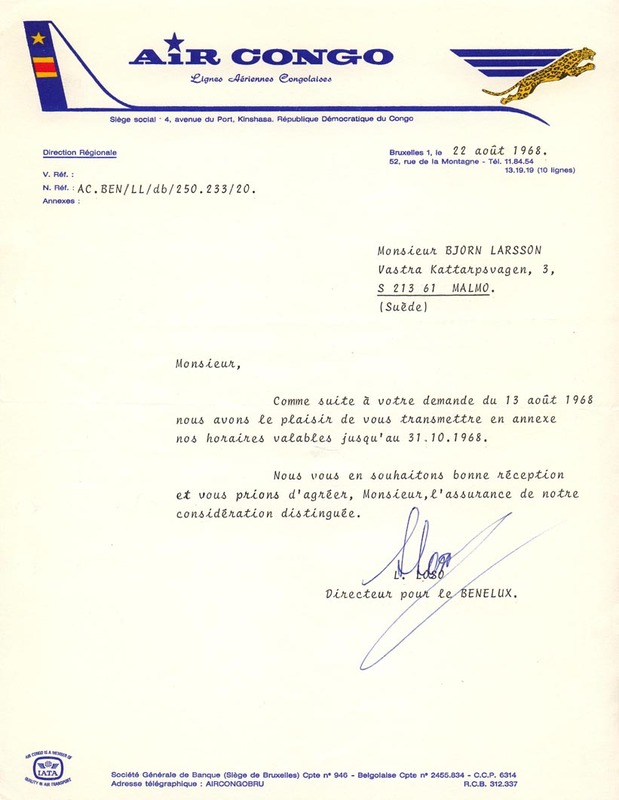 Some have nice letterheads, others are interesting for other reasons and most are from rare and remote airlines - i.e. 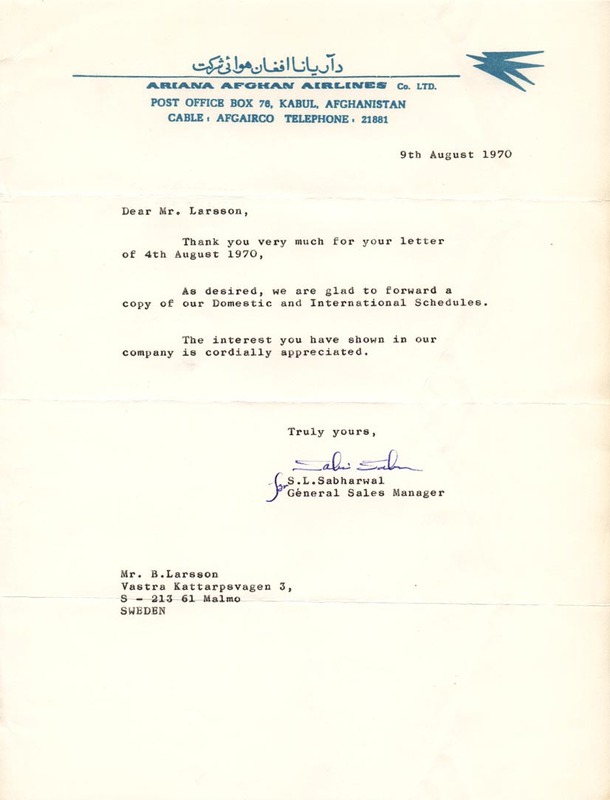 from my horizon. 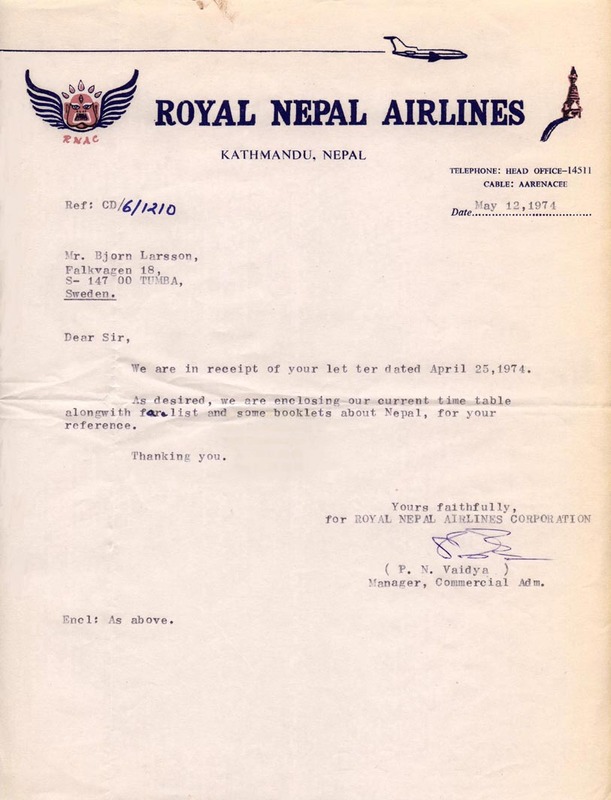 A good deal of the airlines are gone since long. 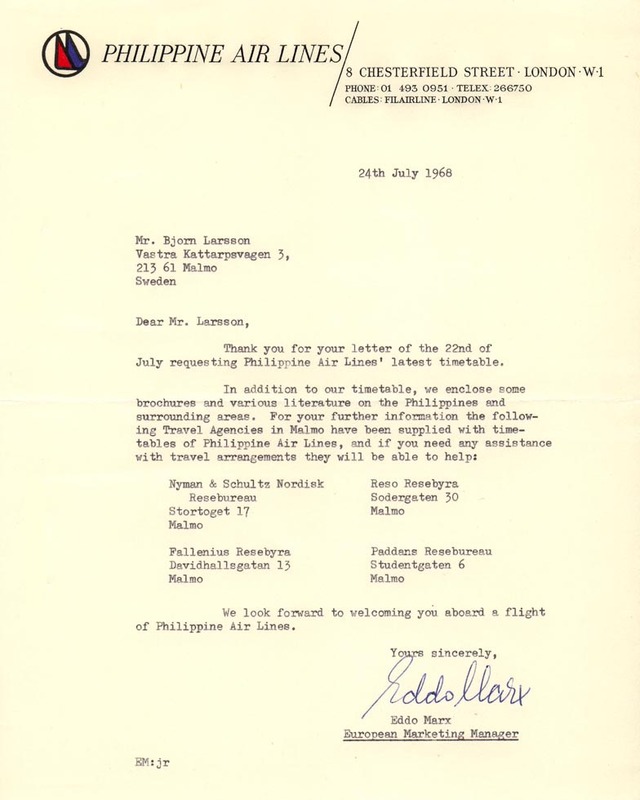 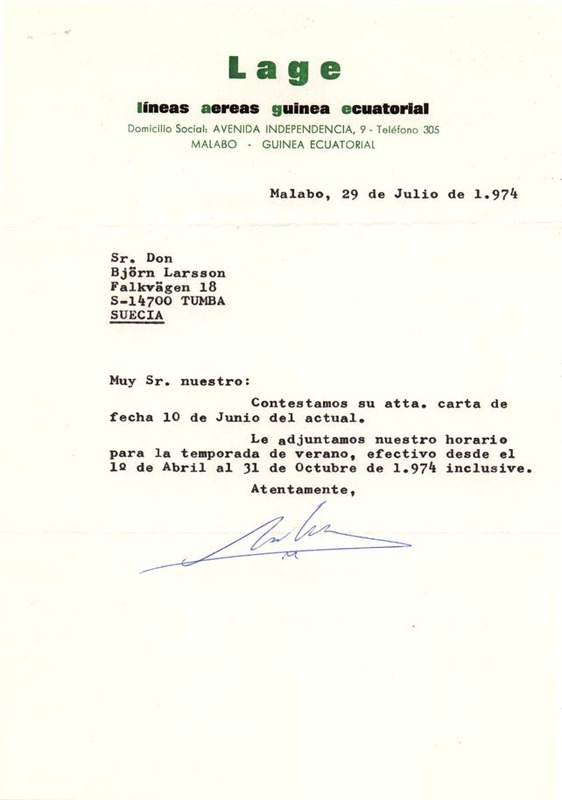 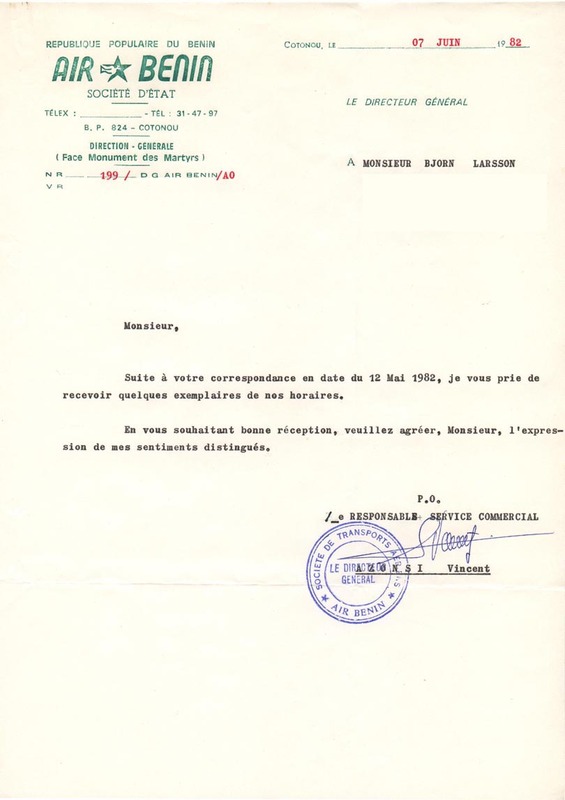 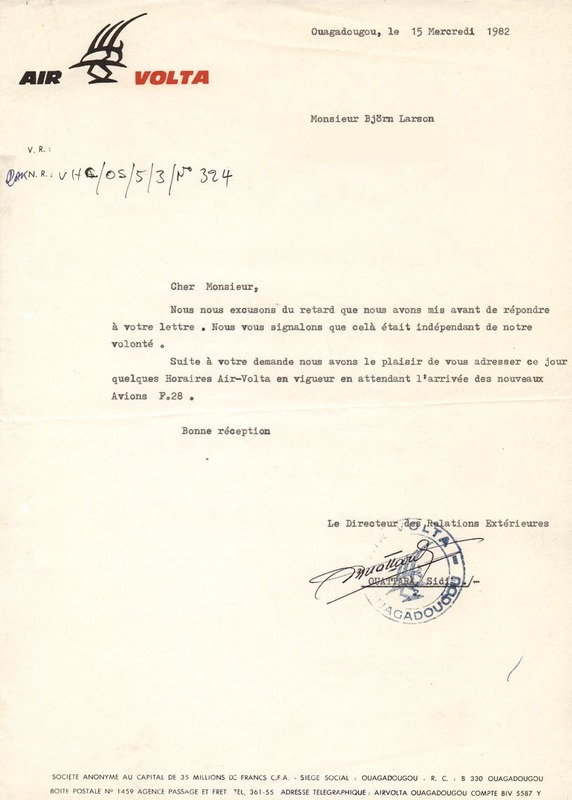 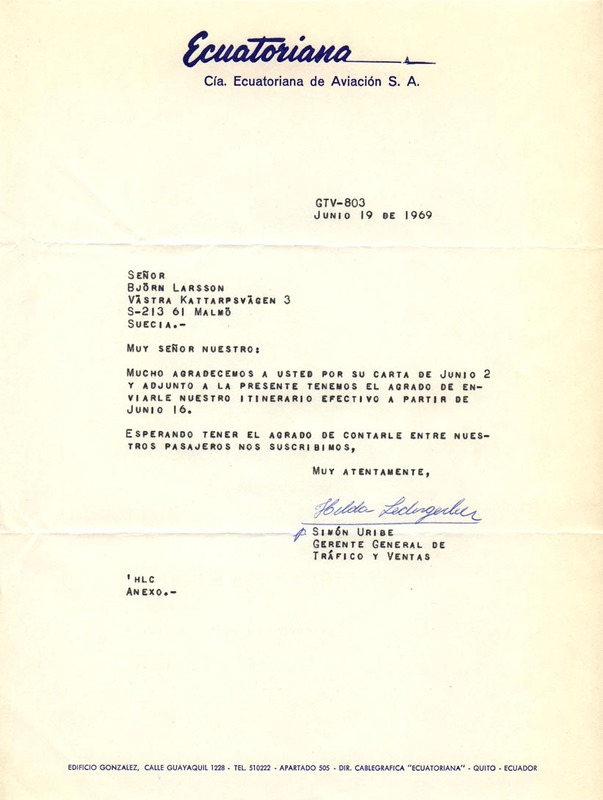 I believe that I sent the first letter requesting a timetable to Aeroflot's office in either Copenhagen or Stockholm in 1963. 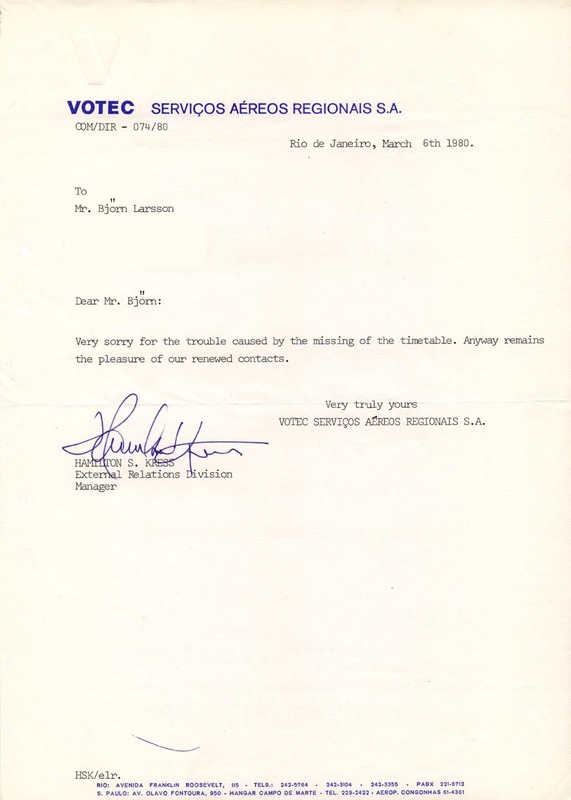 They did not let me down. 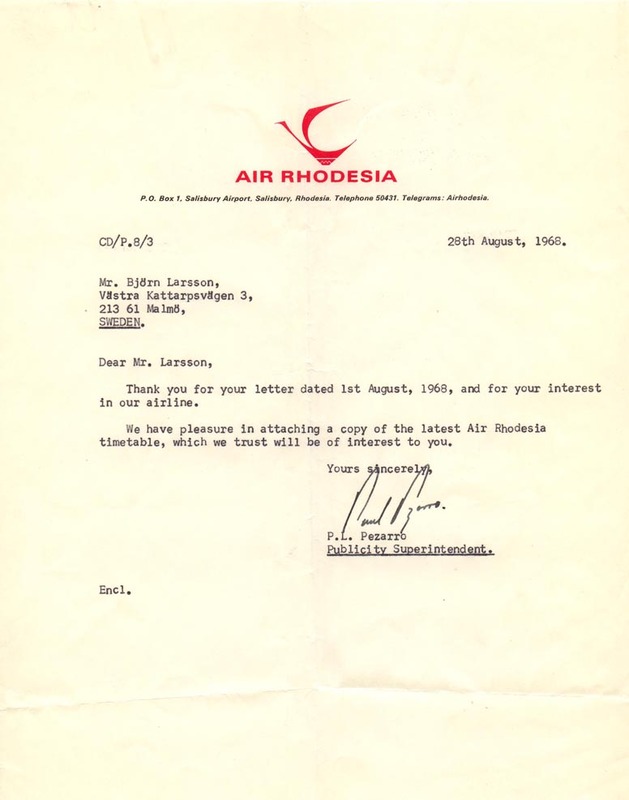 Other early ones were sent to the headquarters of Ethiopian Airlines, South African Airways and Trans-Australia Airlines. 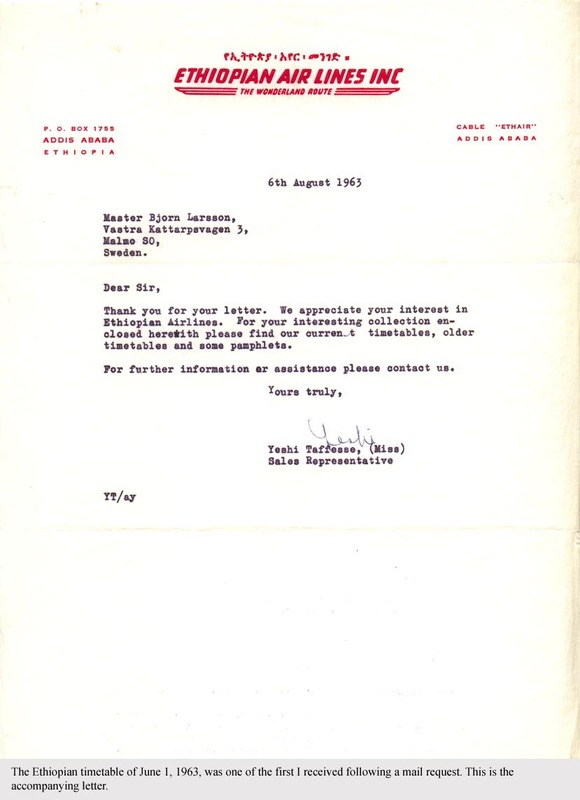 To my disappointment, the two latter sent just brochures and other items, though I soon found their timetables locally (Malmö, Sweden). 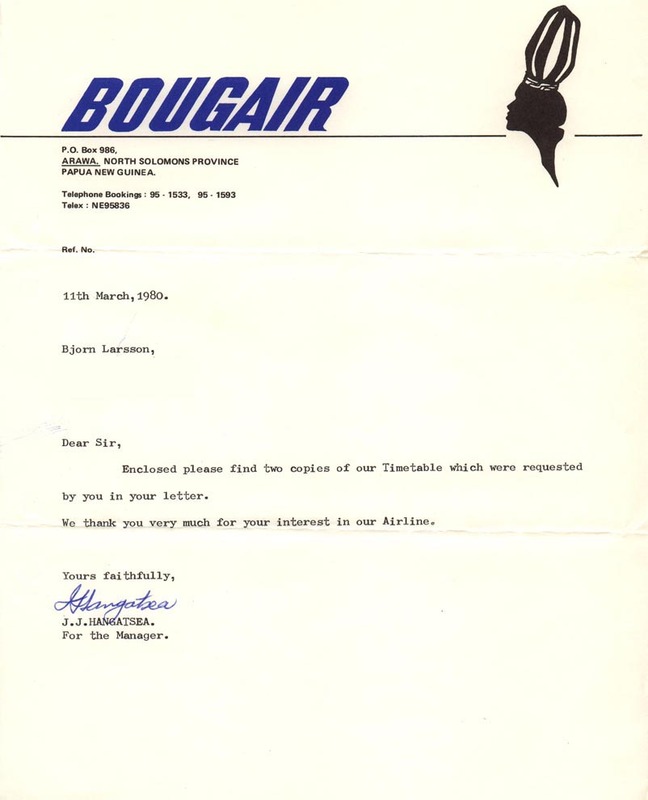 The funniest letter I ever received was from a smaller Australian airline which politely told me that they, regrettably, could not employ me as a pilot for the time being. 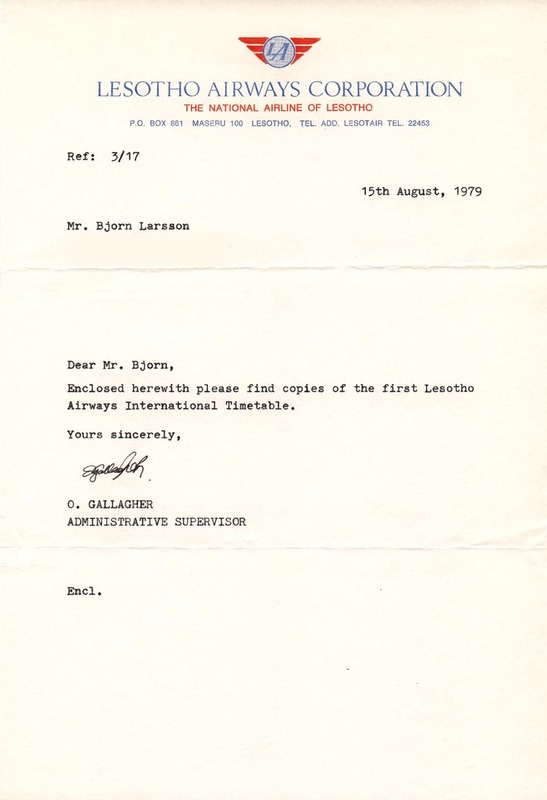 I have always wondered if a hopeful pilot somewhere to his big surprise was furnished with a timetable when expecting a reply to his application. 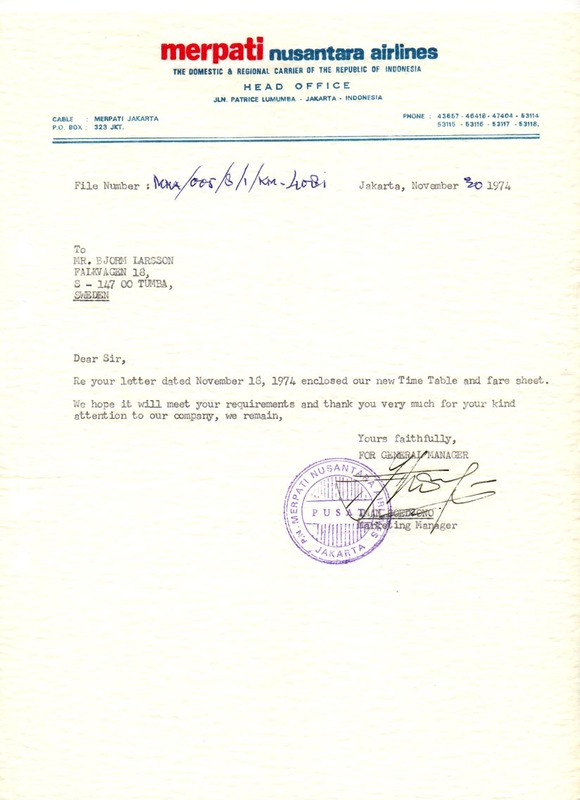 This page last updated October 2, 2012.